Leaves are something that most people want to get rid of in the Fall. But we have been welcoming dozens of trailer loads of leaves over the past several weeks from several neighbours’ properties. The neighbours (and contractors working for some of them) are delighted to be able to save nearly 20 kms per round trip for each trailer load! 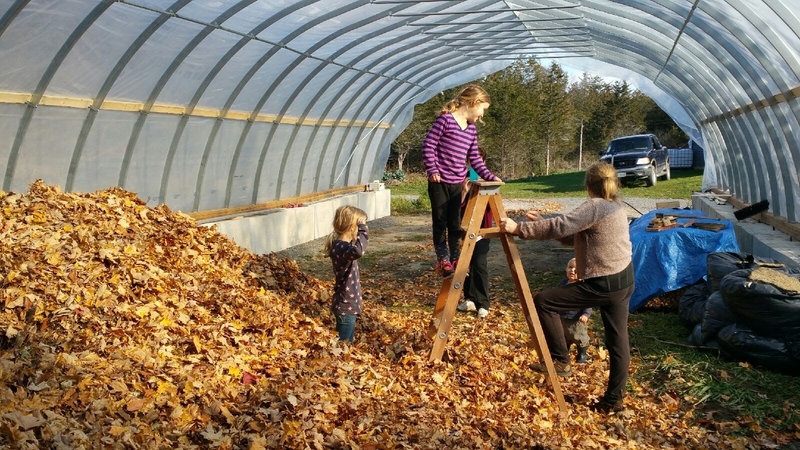 The floor of the animals’ half of the hoop house is now deep in leaves and a huge pile of leaves sits in reserve nearby in the hoop house. Outside, two more large piles are growing. Why collect so many leaves? They make great bedding for the animals. They absorb urine and provide warmth. When the leaf bedding gets wet and dirty, clean dry leaves can be thrown on top. 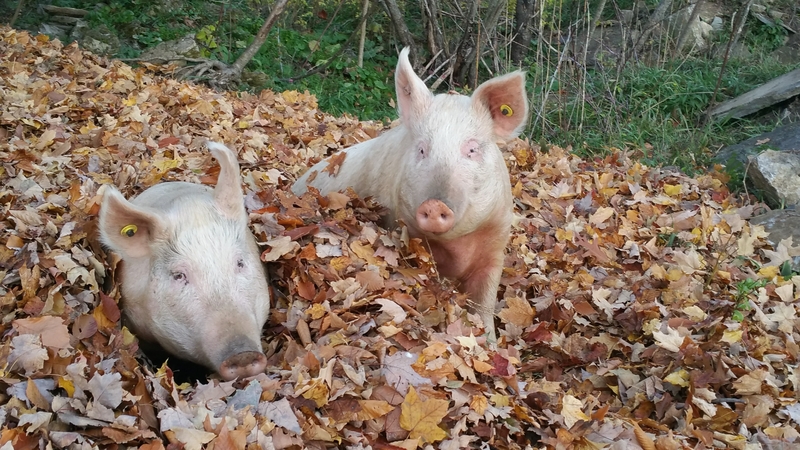 These pigs kept warm and cozy on a cold night in this leaf pile. On cold and wet nights, they and the goats now choose to sleep on a bed of leaves in the hoop house. The pigs will soon all be gone but the goats will be with us all winter, sheltered in the hoop house but with access outside. 2. The children love playing in them! 3. The leaves compost and make great soil for the garden. 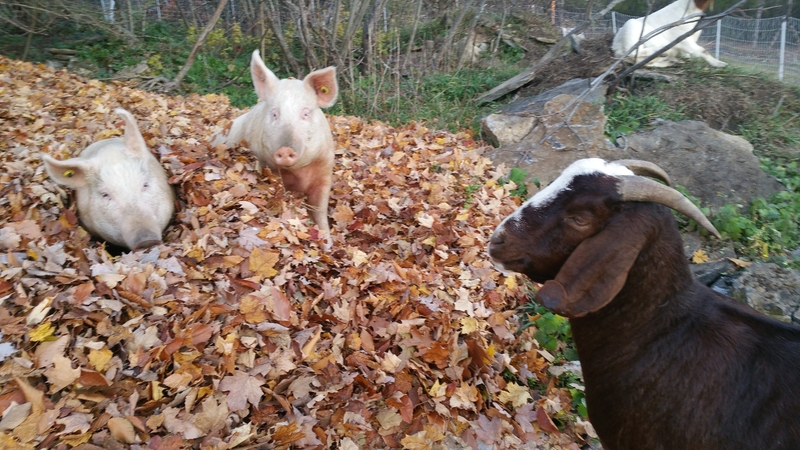 Last Fall’s leaves have already mostly composted, with help from the chickens and pigs, and are being added to our garden beds. We are not doctrinaire permaculture type farmers but do believe that this is one example that helps make the farm, and our neighbourhood, healthier and more sustainable. Are the kids jumping off the ladder into the leaves? Yes, they have been but my photography skills are not good enough to capture that.